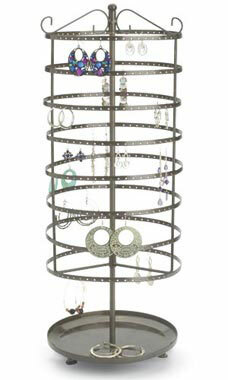 Your customers will love the variety of earrings you have to offer on these large fashionable rotating metal carousels! This display features popular raw steel finish and a sturdy “catch all” base for loose items, rings, and more. Choose from two sizes and place on tables, counter tops and at your cash wrap for last minute, impulse purchases!